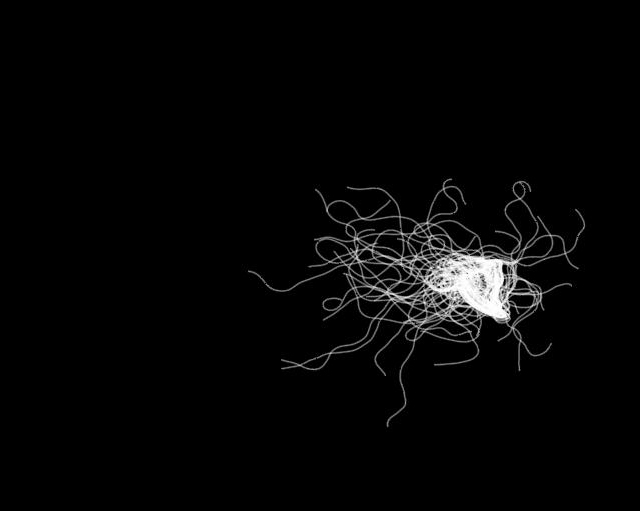 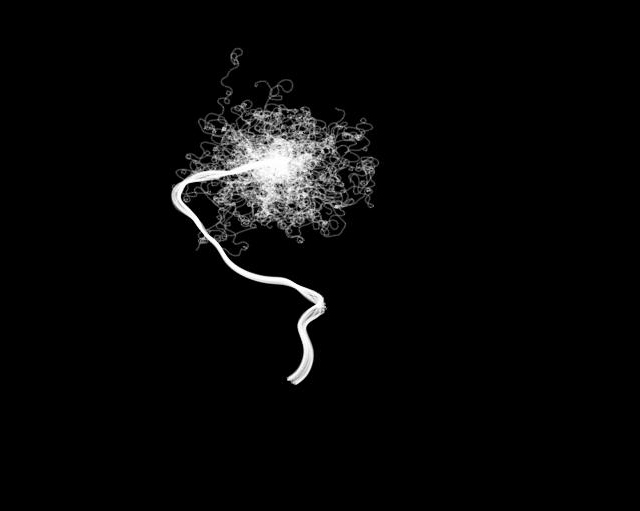 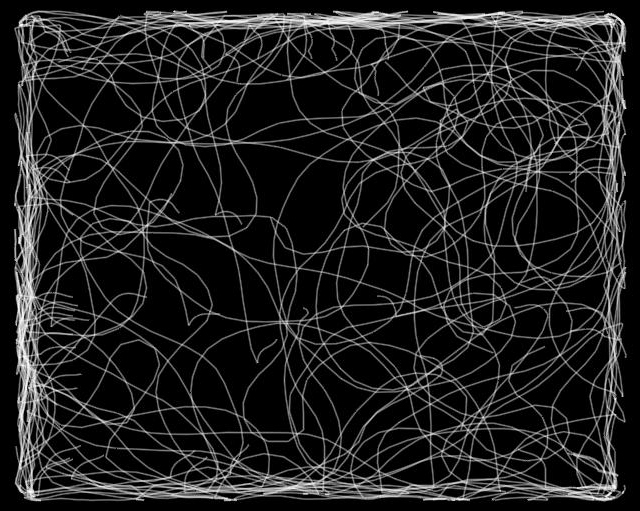 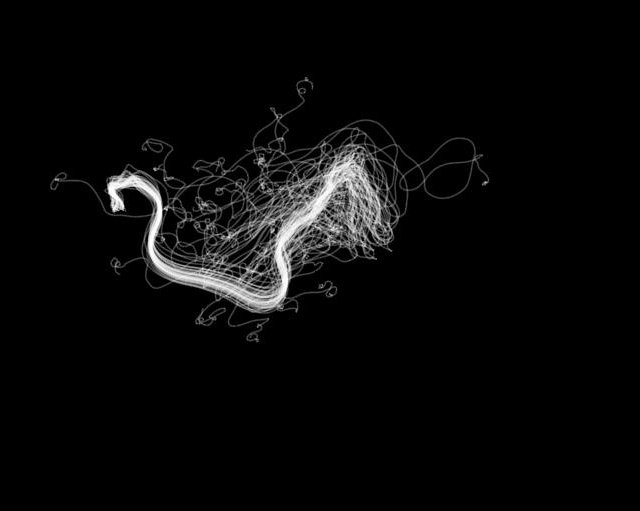 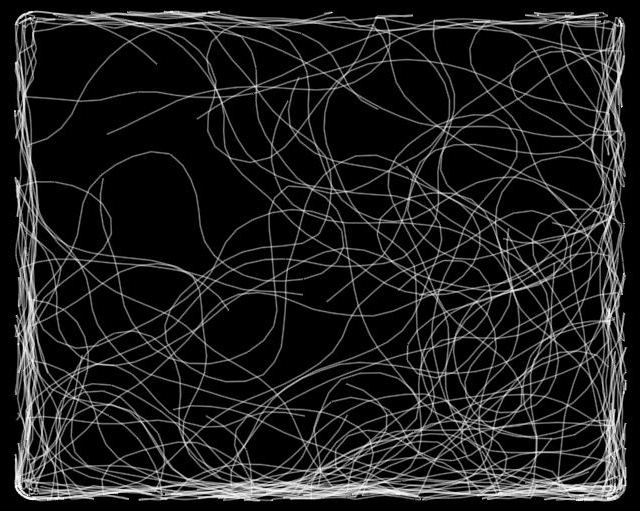 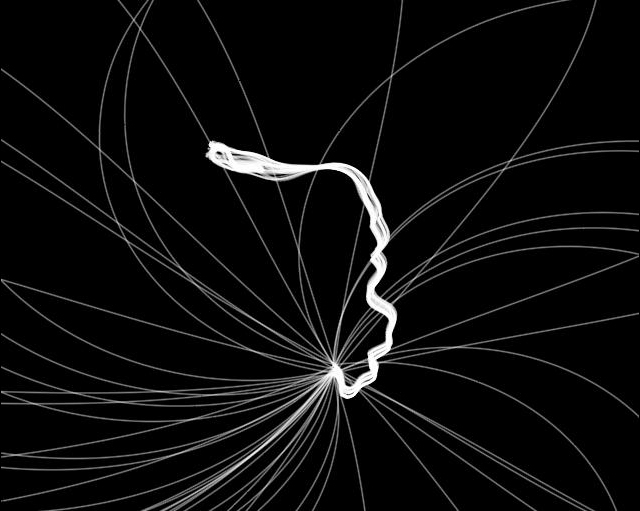 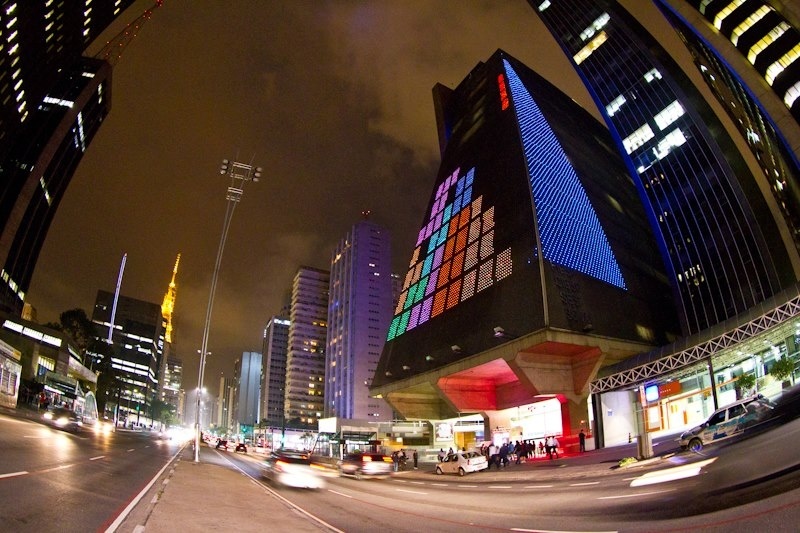 Noodles is an experimentation for a realtime generative graphics. 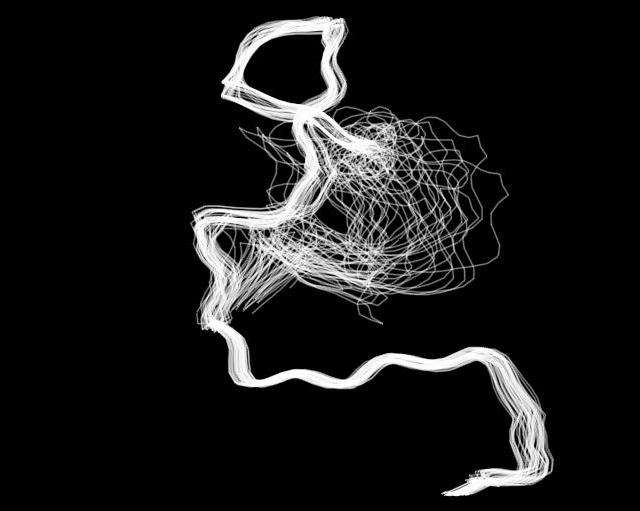 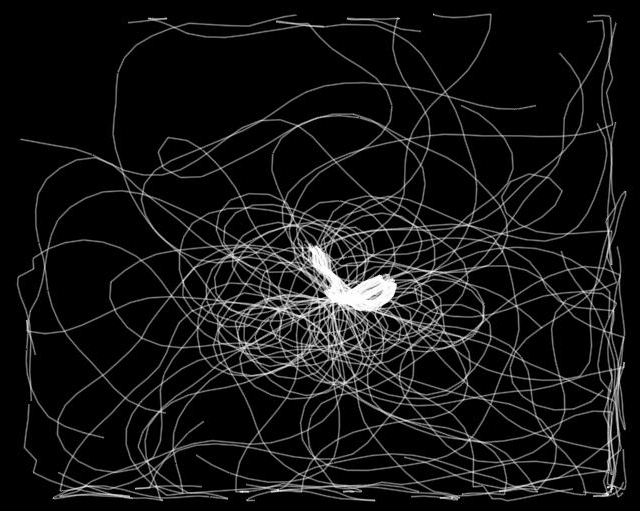 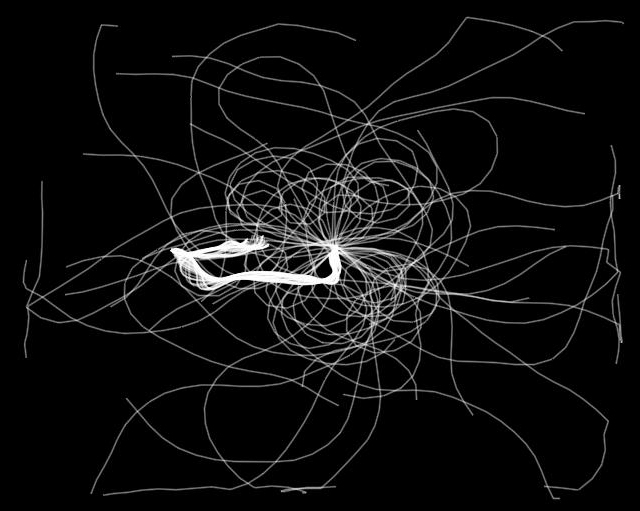 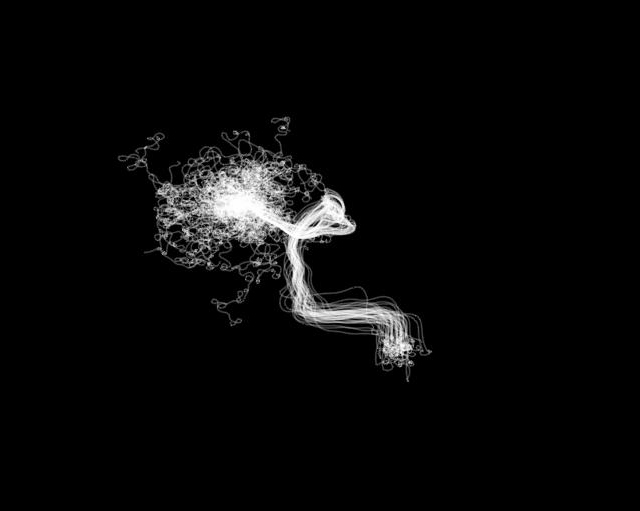 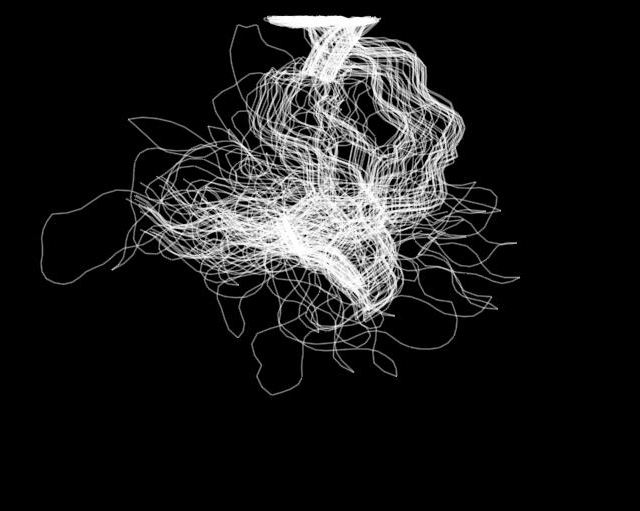 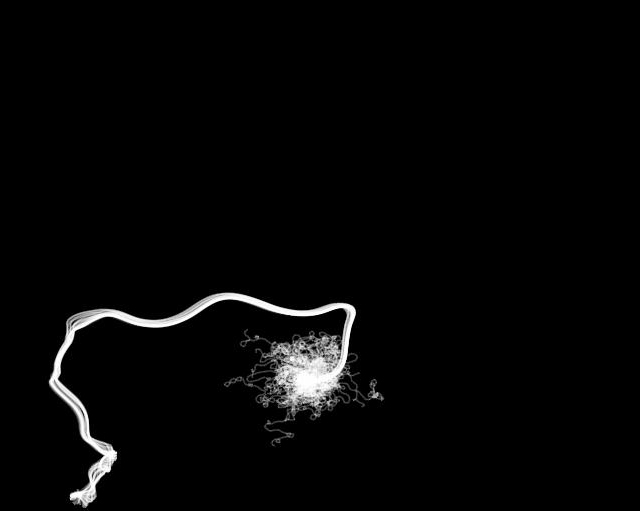 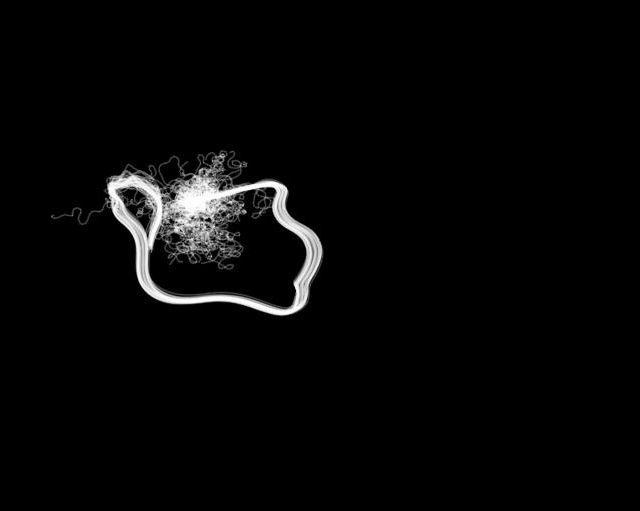 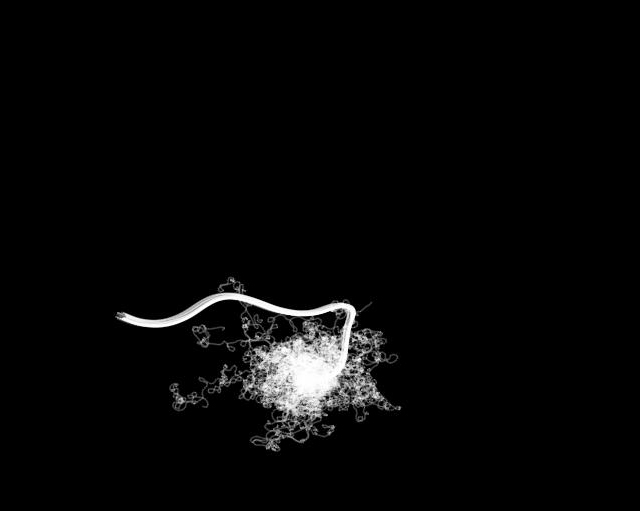 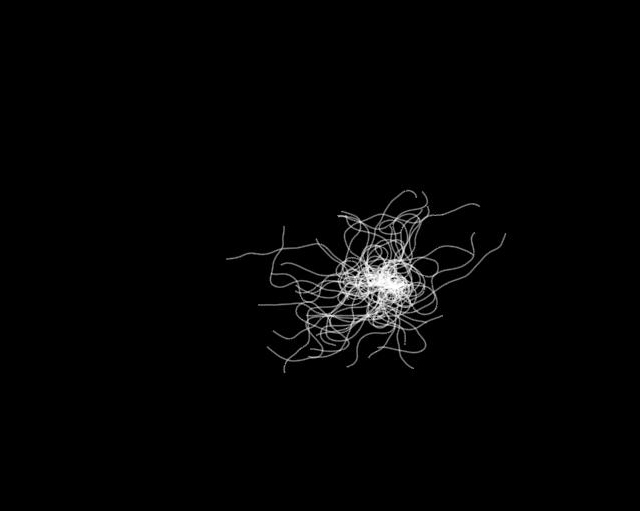 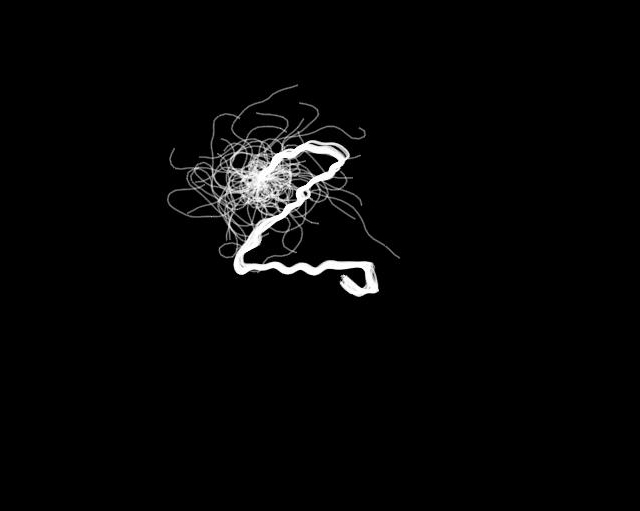 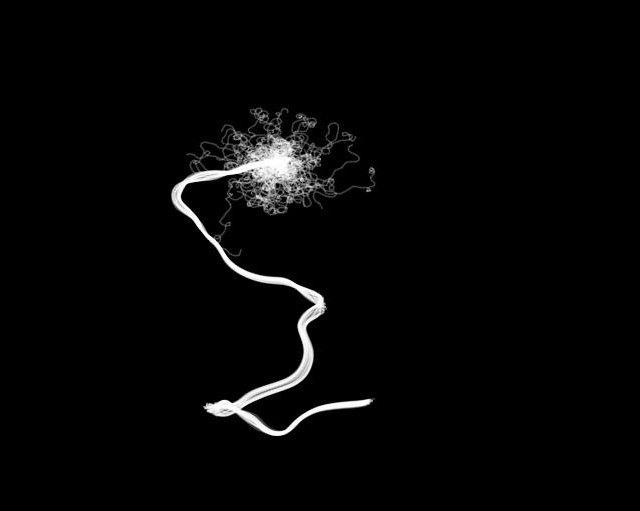 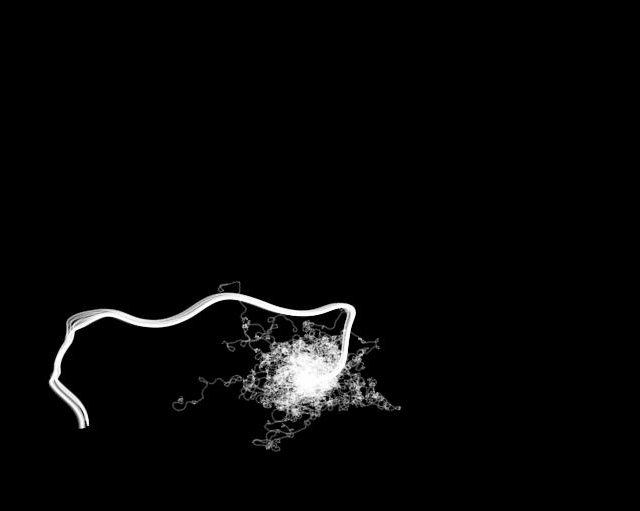 Using VVVV I crated a simple module to simulate the movement of a worm. 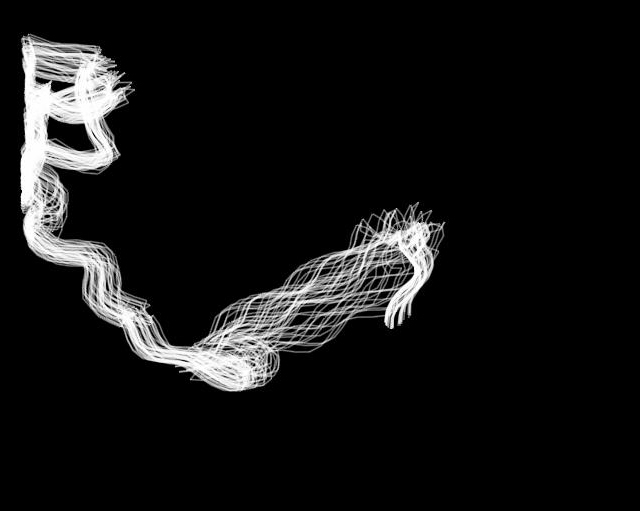 There are many ways to achieve this behavior, in this case I established first the movement of the head which the body will follow. 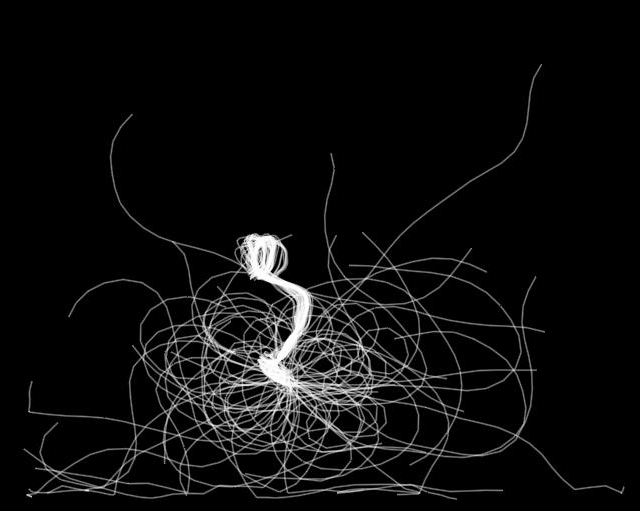 One can change the length of the worm the movement of the head, the general direction of the body and different random levels for those values.